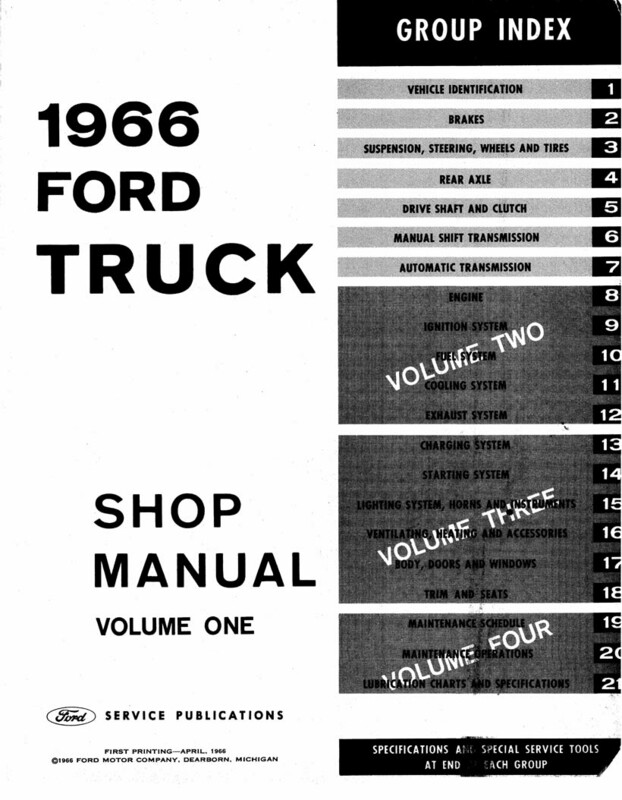 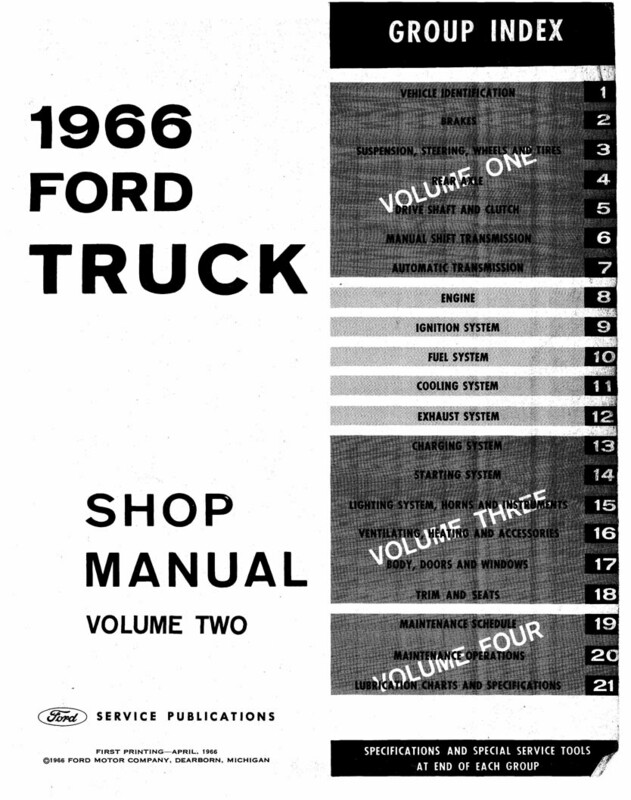 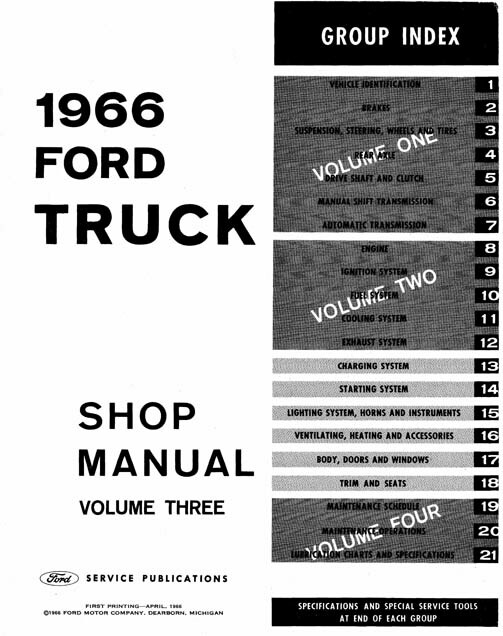 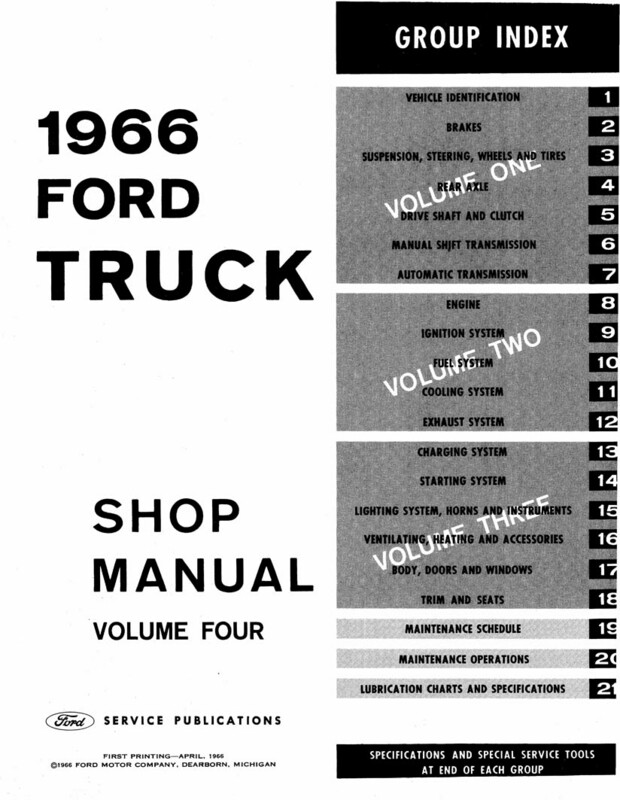 The 1966 Ford Truck Shop Manual is the 4-volume set of manuals that Ford mechanics used to service trucks. 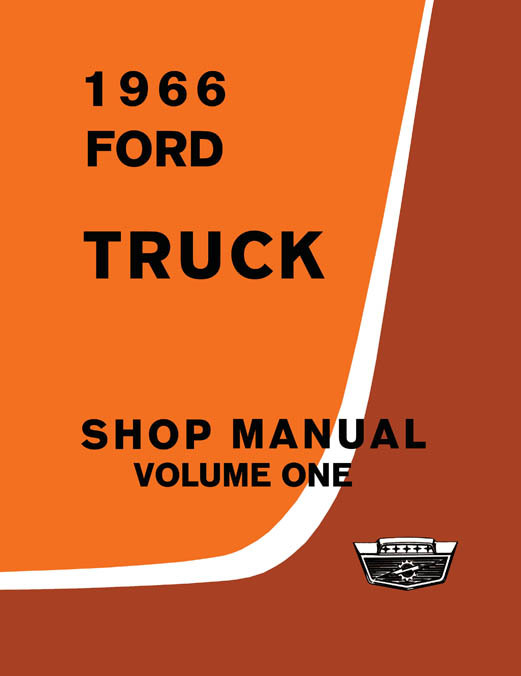 There are detailed service procedures for truck identification, engine, exhaust, ignition, clutches, transmission, axles, wheels, tires, chassis, suspension, steering, brakes, frame, generating, lights, body, accessories, interior trim, maintenance, lube, specs, and special tools. 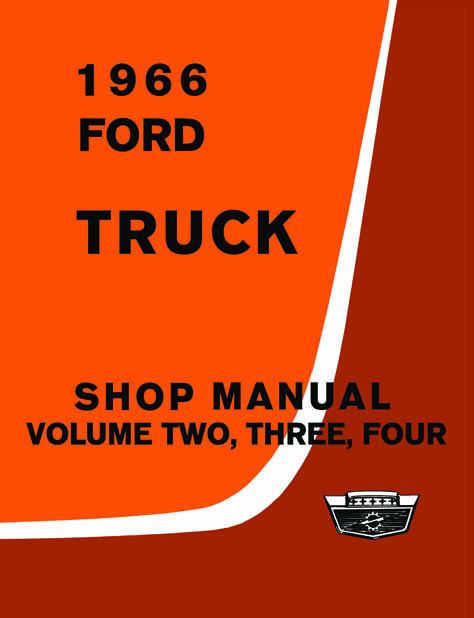 These manuals cover all 1966 Ford Pickups (F100 - F250- F350, and P100 through P5000) and Trucks (B500 -- B750, C550 -- C7000, F500 -- F1100, N500 -- N7000, and T700 -- T950).